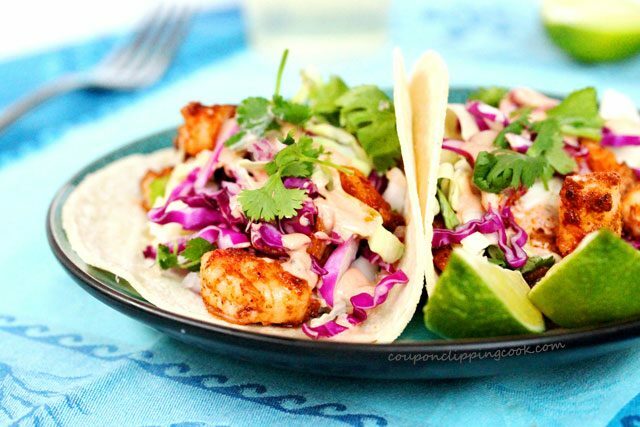 These quick and easy shrimp tacos with creamy Adobo sauce are impossible not to make over and over again. 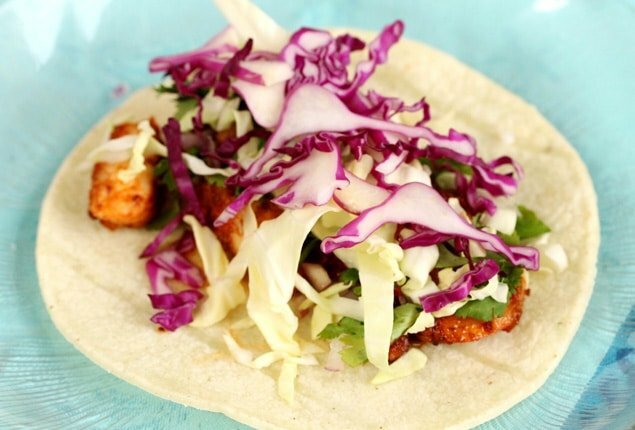 Soft tacos are a quick and easy go-to meal and taste so good with shrimp in them. 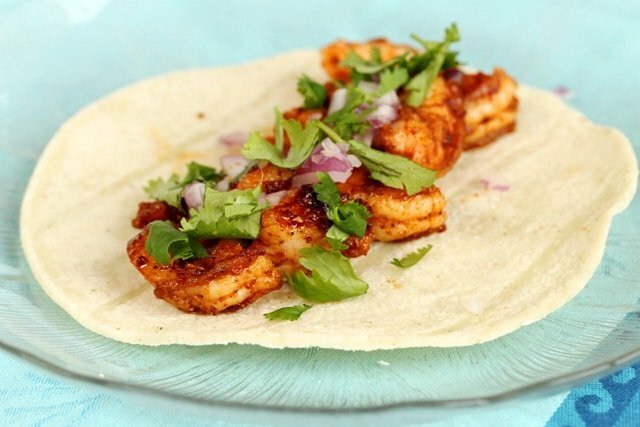 The shrimp in these soft tacos are seasoned with mixture of spices that add wonderful flavor to the taco. 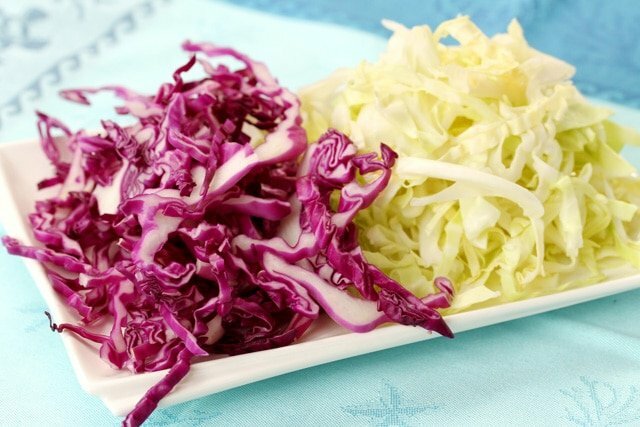 For a light crunch with each bite, 2 types of raw cabbage is used, green and red cabbage. 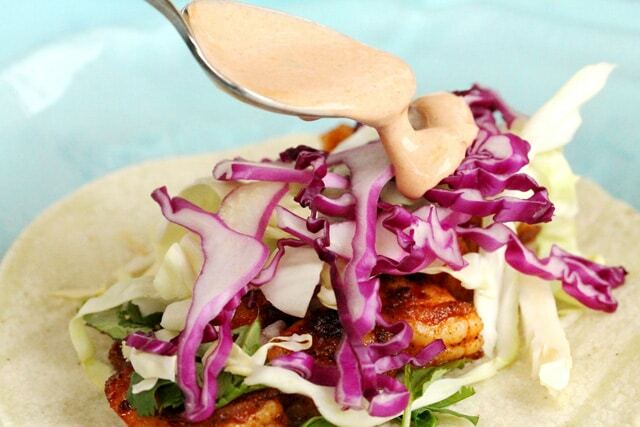 The red (or purple) cabbage add beautiful color to the overall dish too. 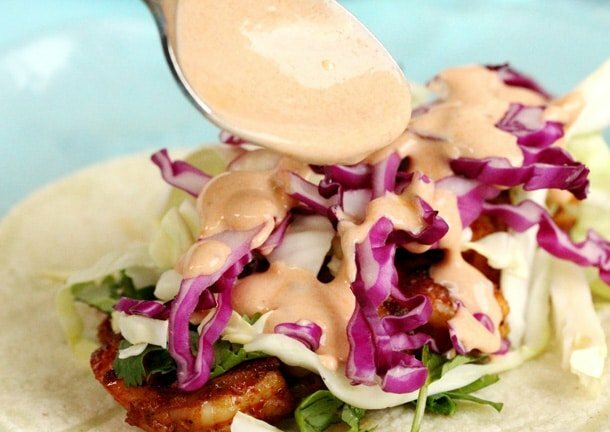 To top these scrumptious tacos off, a super quick creamy adobo sauce that’s made with just 2 ingredients is drizzled on top. 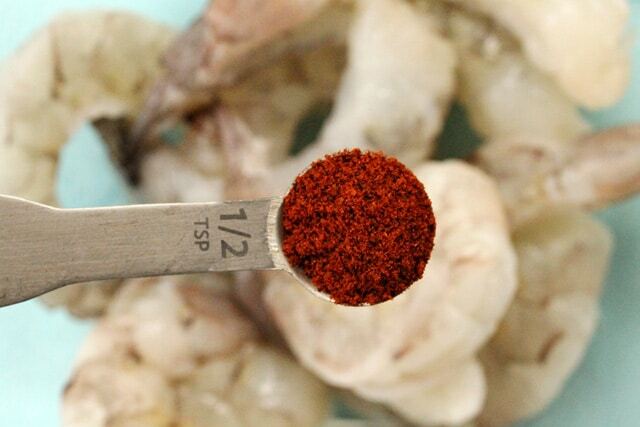 The combination of flavors and textures are really really good. 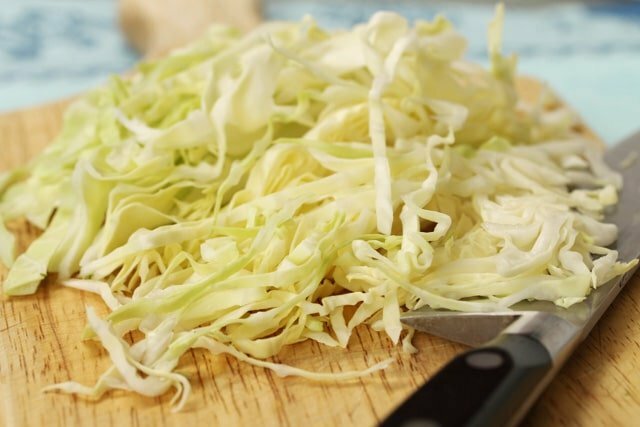 …and thinly slice the purple cabbage. 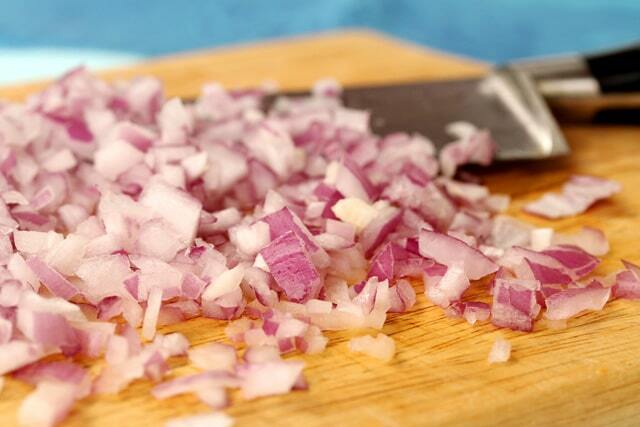 Chop the onion and set aside. 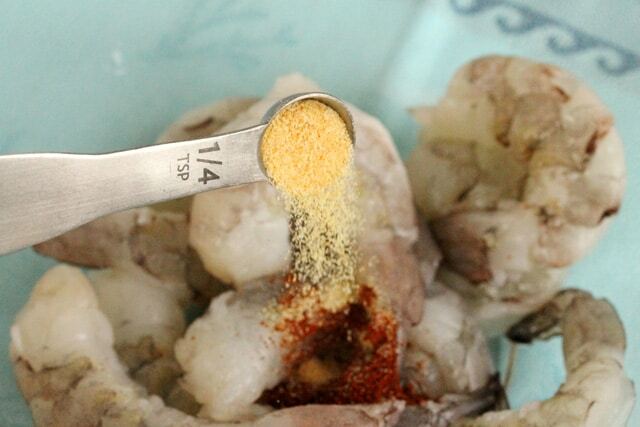 Mix together so that the shrimp are coated with the spices. Heat a medium size skillet on medium heat and add olive oil. 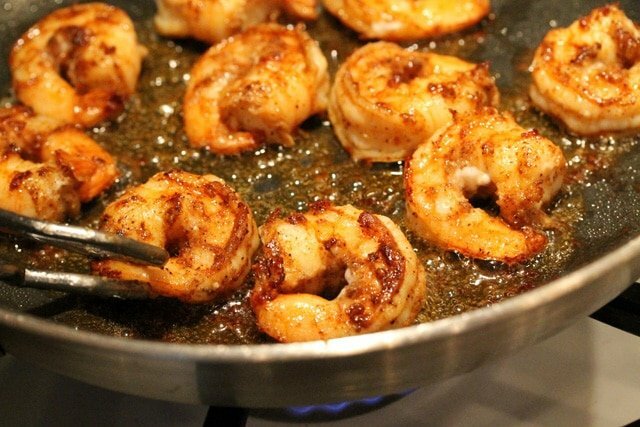 Turn the shrimp as they cook until each side is lightly browned and thoroughly cooked (about 6 minutes in total). 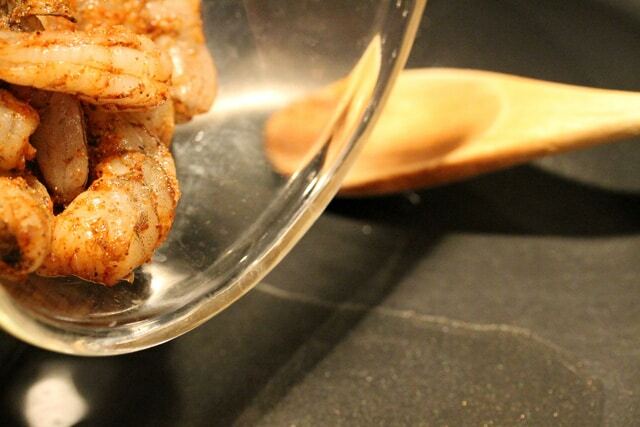 Turn the heat off and transfer the shrimp on to a cutting board. Reserve the remaining olive oil in the pan. 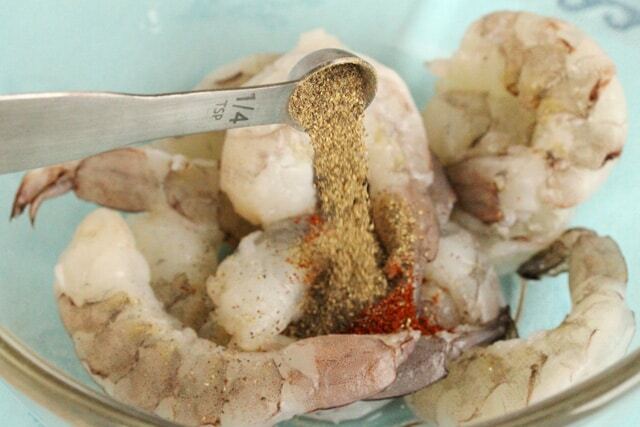 Cut the shrimp in half and put them in a bowl. 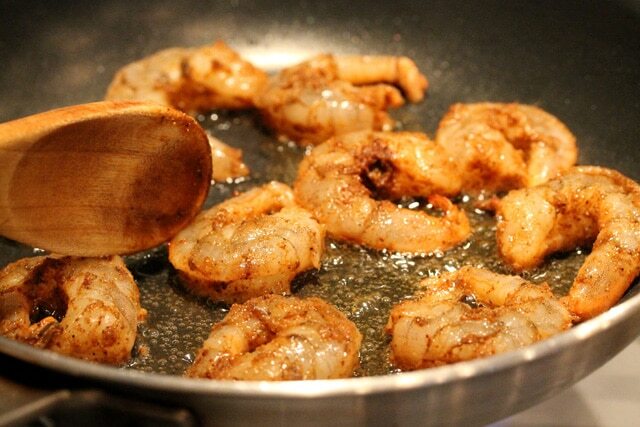 Then add the remaining olive oil from the pan in with the pieces of shrimp and mix together. 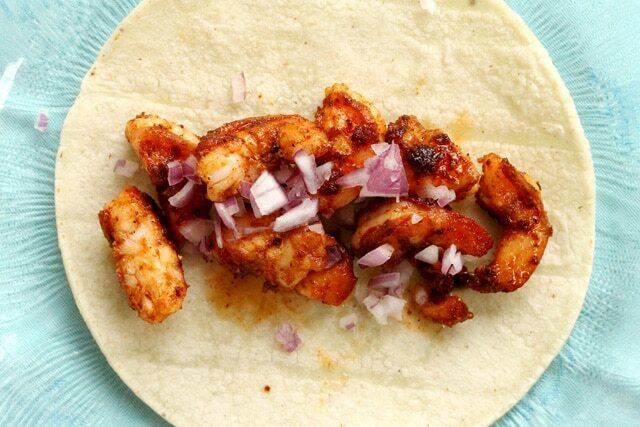 Warm the corn tortillas in the microwave for about 10 to 12 seconds. and the green and purple cabbage. Drizzle the Adobo sauce on top. and with a quarter piece of lime for each taco. …enjoy each and every delicious bite. These are impossible not to make over and over again. 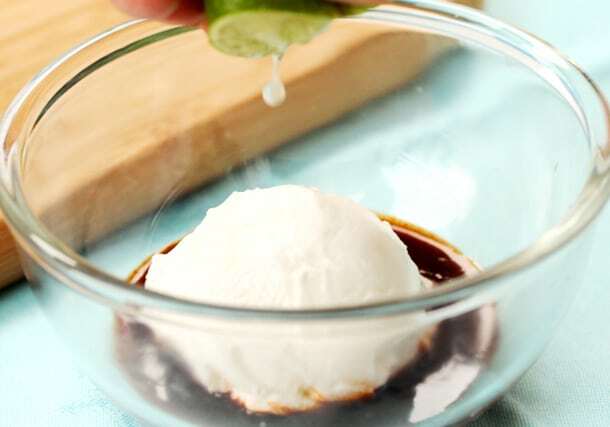 In a small bowl add the Adobo sauce, sour cream, lime juice, and salt. 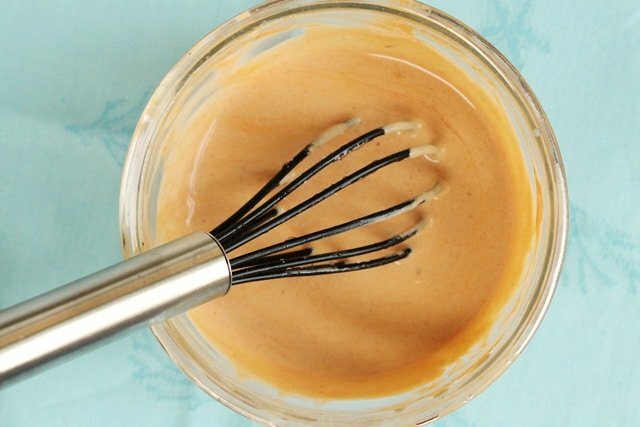 Mix until creamy and set aside. 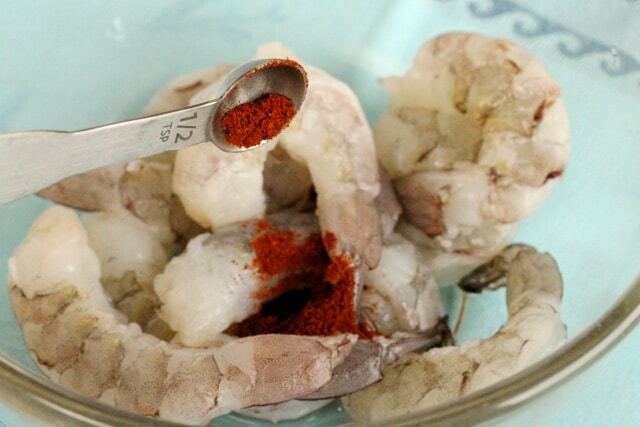 In a medium size bowl, add the shrimp, chili powder, garlic powder, pepper, cumin, and salt. 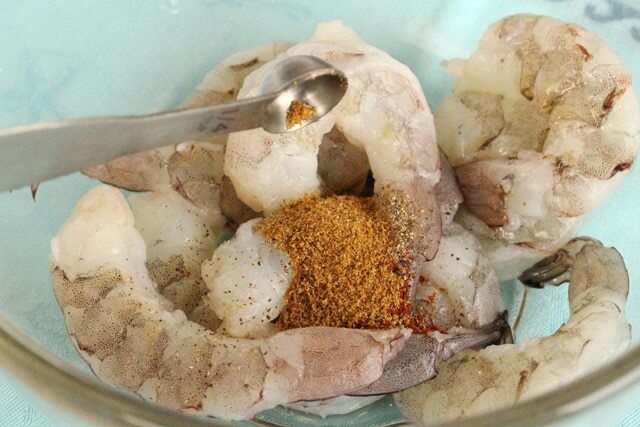 Mix together so that the shrimp are coated with the spices. 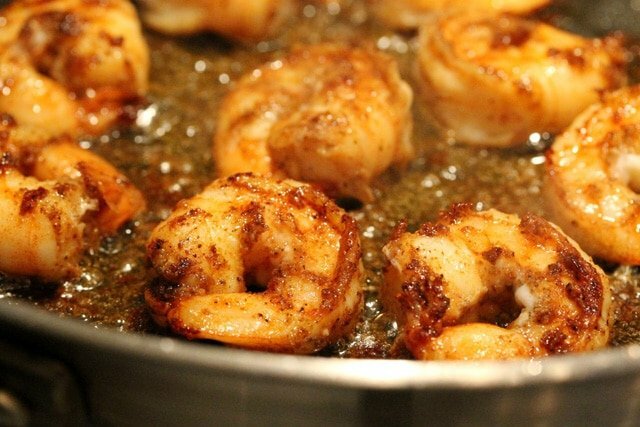 To the pan, add the shrimp. 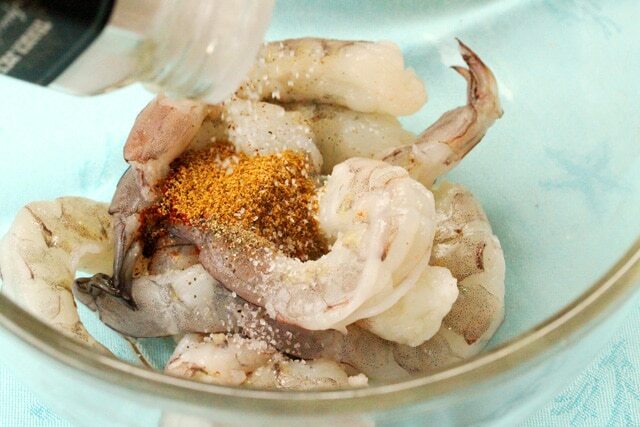 Turn the shrimp as they cook until each side is lightly browned and fully cooked (about 6 minutes in total). 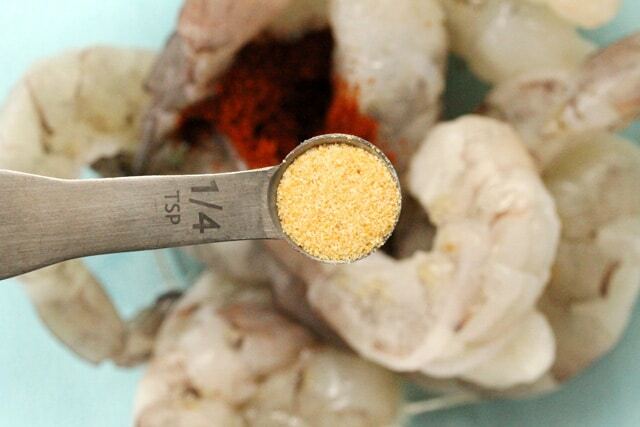 Turn off the heat and transfer the shrimp on to a cutting board. 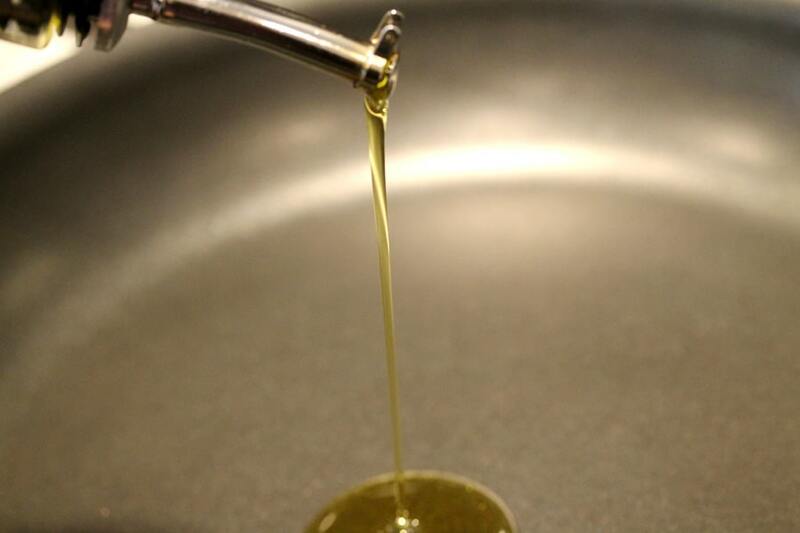 Reserve the olive oil that's left in the pan. 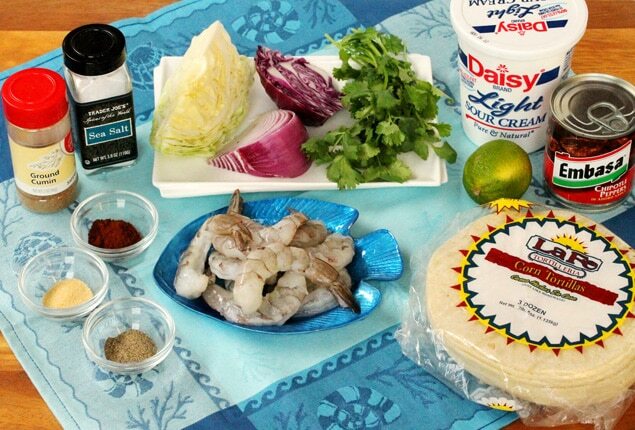 Top each tortilla with shrimp, onion, cilantro, and green and purple cabbage. Drizzle the creamy Adobo sauce on top. 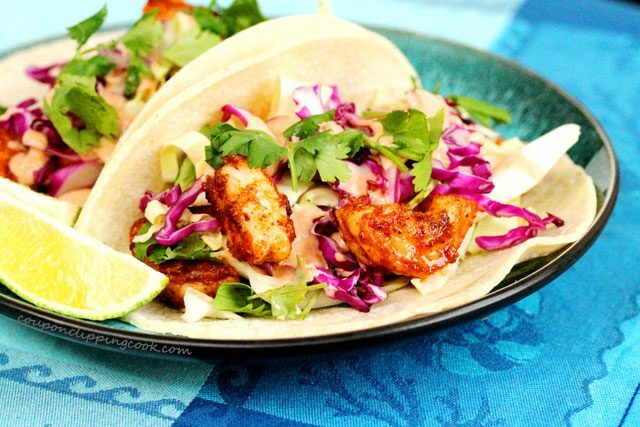 Serve while the tortillas are still warm, and with a quarter piece of lime with each taco. Soo good! 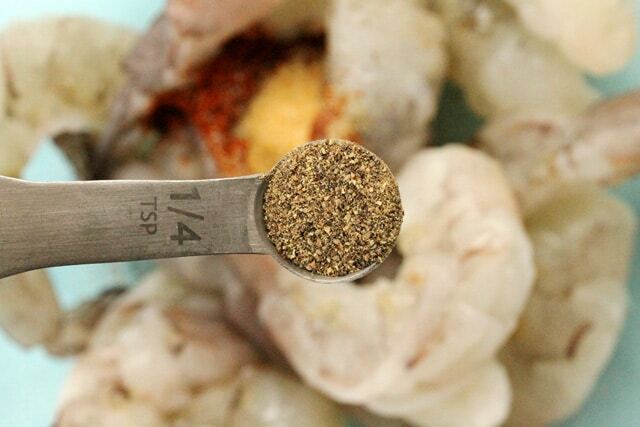 We usually cook the shrimp with the Adobe sauce onion and garlic. 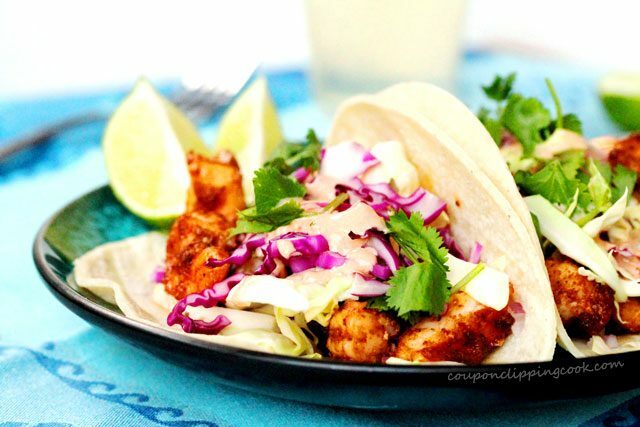 But your recipe was shrimp tacos on steroids! My husband loved it and the Adobe sauce on the side was perfect. I didn’t have sour cream so I used Greek yogurt and it was great. 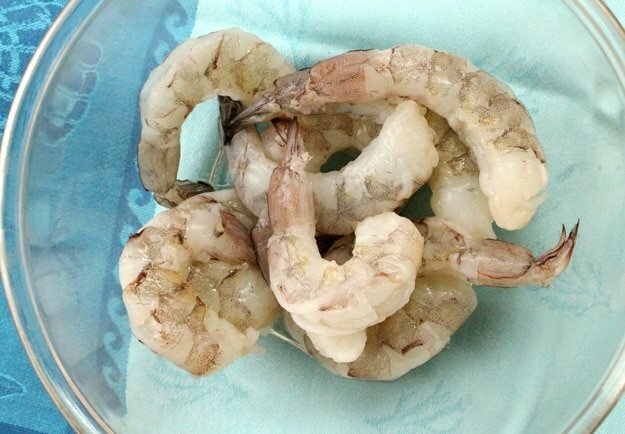 I cut my shrimp up before hand accidentally and it still turned out good. Hi Megan, thank you so much for letting my know how they turned out and for your great rating. 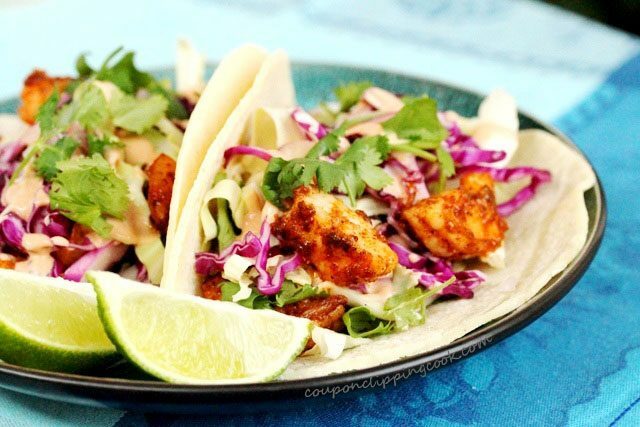 I’m so glad you liked these tacos. And I would have done the same thing as you did if I didn’t have sour cream; Greek yogurt would be delicious with the adobo sauce too. Thank you again. 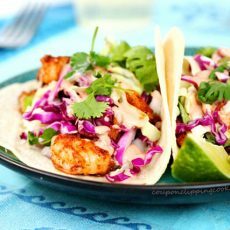 I just made these for lunch and they were amazing. I don’t like raw onions so i cooked in along with the shrimp but made no other changes. I ate all of it. 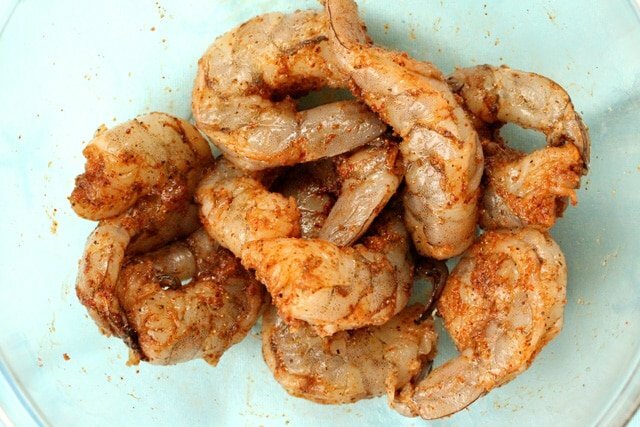 Hi Kendall, great idea to add the onions in with the shrimp when cooking it. So glad you liked this and thank you for letting me know. Have a great rest of the weekend! 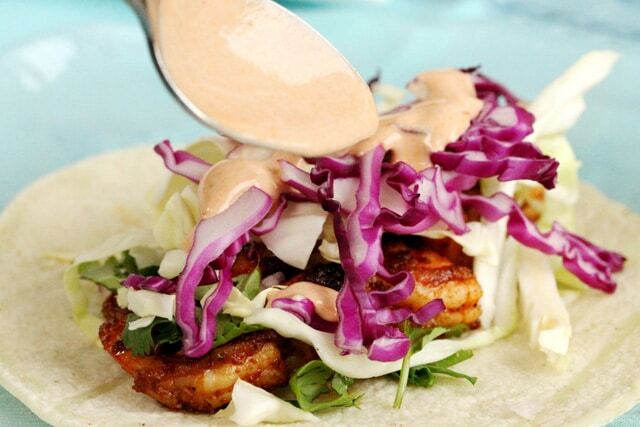 YAY for shrimp tacos!! These were awesome. My son loved them. Thanks for posting! Hi Tina, so glad he liked them and thank you for letting me know. Have a great weekend! Made these tonight. They are so yummy! 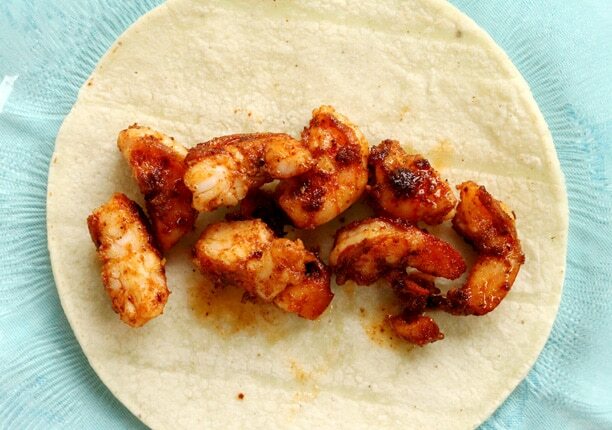 We like shrimp tacos and we usually get them from a fast food joint. But not anymore, we can make them at home. These taste way better and fresher. 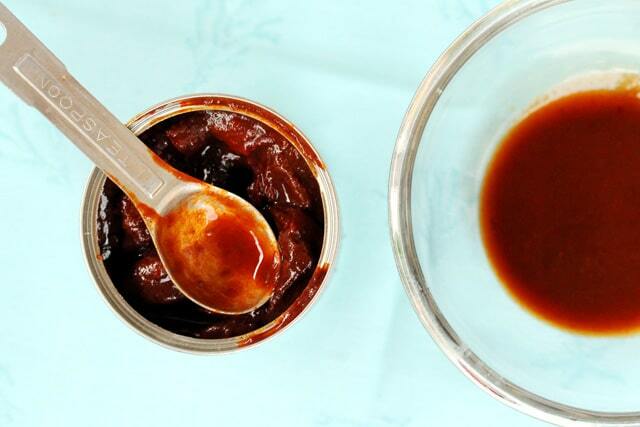 The Adobo sauce taste similar but yours taste way better. I ended up making a whole 16 oz container with the sour cream and just put it back into the sour cream container. I think I am going to find something else to use that sauce on because it taste so good. Thanks for the recipe! 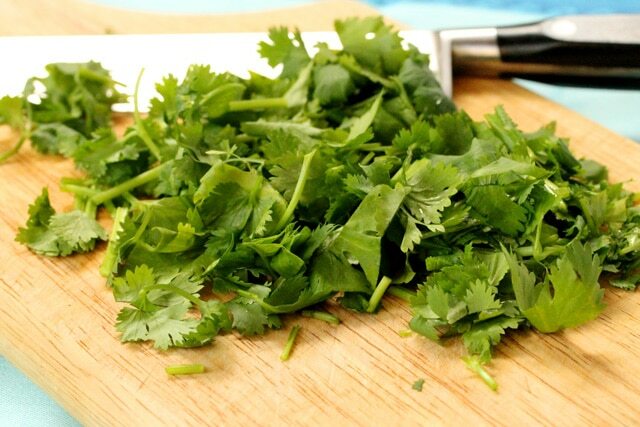 It’s going to be a staple in my kitchen. Hi Monica, so glad you liked it! 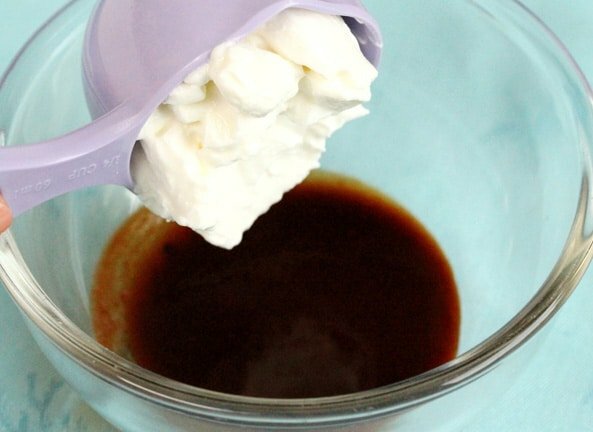 And what a good idea to just make the Adobo recipe in the sour cream container. Thank you for letting me know. Have a nice weekend! 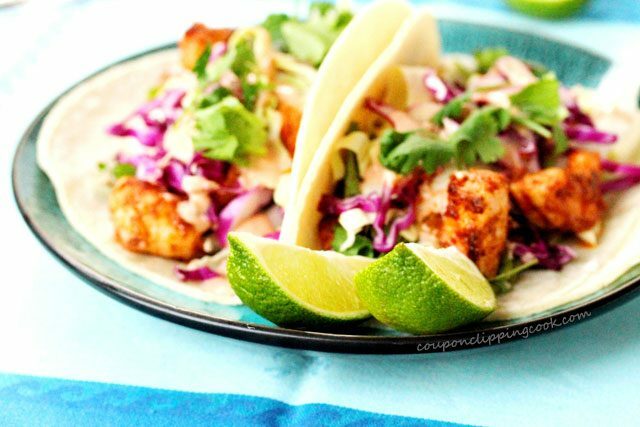 Your tacos sound so healthy and yummy. Thanks for posting this recipe. Hi Heide, so glad you like them. Thank you for stopping by! We eat a lot of soft tacos at our house too. 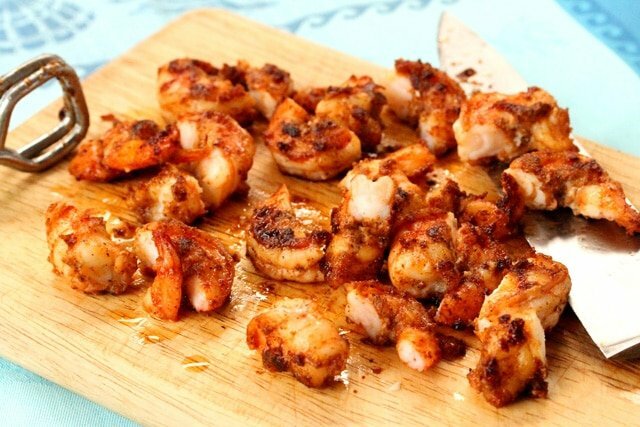 The sweetness of the shrimp is perfect to go with those spicy flavors. Yummo! Hi Kari, thank you so much for stopping by. Have a nice weekend! Looks good, will have to try this recipe! Hi Sheila, thank you for stopping by!